Fundraising is difficult, so why not expand your reach and raise more money online? After all, a lot of people are on the Internet most of the day anyway. By providing the option for people to support your cause digitally you increase the chance that people will give to you and share your cause or mission with their friends. The best part? Its a lot simpler than you might think. Auctions can be a great option. They provide donors with tangible results, while allowing them to make an impact around the issues they care about. BiddingForGood, an auction site that allows people to shop while supporting causes, has helped thousands of schools, nonprofits and businesses raise additional money with online auction fundraisers — and it’s the service we are using for our own fundraiser this February. The service is easy to use and allows you to customize your online fundraiser (see our Brews & News fundraiser page to benefit the Center for Sustainable Journalism, if you haven’t already). Best of all, an online auction gives you the freedom to carry your fundraising efforts beyond a physical event, a single day and geographical boundaries. 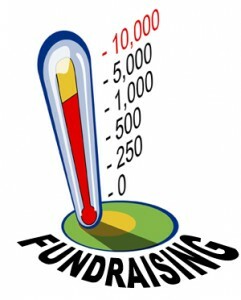 For our Brews and News mixer and fundraiser, interested participants can start bidding January 20, 2012 – two-weeks prior to the actual event. The bidding stops at the networking event on February 3, 2012, but that doesn’t mean they have to attend to win. By going digital you have the potential to reach a much larger audience, not to mention raise additional funds for you non-profit or cause, and (in the case of BiddingForGood) have many of the tedious logistics handled by professionals with a proven track-record of success. Making it even easier, BiddingForGood recently launched an iPhone app to bring your online auction into your real-world event. You’ve surely heard about how mobile is the place to be, and this app gives you the power to reach people anywhere. Best of all, it seems clean and user-friendly. Online auctions may not be right for every non-profit, cause or fundraiser, but taking the bidding digital has drastically expanded the fundraising potential of an age-old practice. 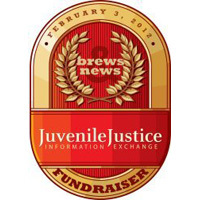 Our online auction begins January 20, 2012 and comes to a close February 3, 2012 at our “News and Brews” networking event hosted at Sweetwater Brewery in Atlanta, Ga. Proceeds will go toward sustaining and expanding our work on the Juvenile Justice Information Exchange, a journalism project run by the CSJ, and continuing the Centers goal of finding ethically-sound, sustainable models of journalism around the issues that matter most. Right now we have more than $4,000 in items, ranging from spa treatments and gym memberships to cooking classes. Items will be added regularly until the bidding starts on January 20, so check in often. If you donate an item or items, you’ll receive mentions on our site, social media channels, and expand your company’s reach. Click here to learn more about donating items. You can bid anytime, even if you’re not coming to the “News and Brews” mixer (which is only $50 and includes a souvenir SweetWater mug, snacks and networking, by the way). Go check out the silent auction page and see what items you want. Remember, items will be added regularly until bidding starts on January 20, 2012. Still on the hunt for additional funding options? Check out “Crowd Funding 101″ with Jacqui Chew, Principal of iFusion Marketing, at SoCon12 (Saturday, February 4, 2012). She’ll explore crowd funding platforms like Kickstarter, Crowdrise and 33Needs, offering insights and best practices for raising start-up capital. Register now. I agree that providing an online bidding option can potentially expand the revenue a charity can generate from their event but it must be a fit. It tends to add an additional level of complexity to the event so it would be strongly recommended to use professionals. Hopefully in the near future we can get some of these professionals to weigh in on when and when not to use online bidding. It would be great to hear more thoughts on this.